Celebrity Consultant Valerie Denise Jones, founder of BIG Girl Media Group delivers the best in entertainment and media news every Tuesdays and Fridays. FLT has highlights from a few of our favorite shows brought to you by BIG Girl Media Group. tackle questions and topics that are often left out of polite conversation. Interviews are warm and empathetic, yet the hosts are always willing to push forward with statistics and vexed comments that some might leave unmasked -VDJ. 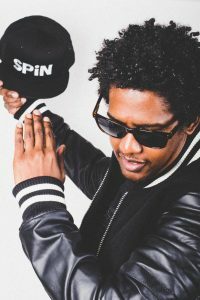 TADP Radio chatted it up with DJ Prince Hakim, son of Robert “Kool” Bell, founder of the legendary Kool & The Gang. They discussed it all from the evolution of music to the importance of empowering women. DJ Prince Hakim also talked about his new collaboration with R&B/pop singer Walt Anderson entitled, R.O.Y.A.L.T.Y. The infectious upbeat single will be featured on his upcoming EP “Healing Love,” set to be released in November 2018. During the interview DJ Prince Hakim gave a hilarious shot-out to his manager Angelo Ellerbee a true “lmao” moment. 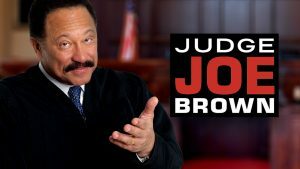 On Friday’s at 4PM EST tune in to The Judge Joe Brown Show hosted by Celebrity Consultant Valerie Denise Jones for Uncensored Truth with a Legal Twist. “Rate M” for Mature Audiences Only..
Take a listen to Judge Joe Brown & Valerie Denise Jones Chat with Mathew Knowles, Ph.D., Author, Professor, Public Speaker, Music Executive, Artist Manager, Entrepreneur and Founder of Music World Entertainment (MWE). Music World Entertainment is one of the world’s leading music and entertainment companies, with record sales exceeding 450 million worldwide. MWE has worked with some of todays noted A-List entertainers some include: Earth Wind & Fire, Chaka Khan, The O’Jays, Destiny’s Child, Solange and Beyoncé. 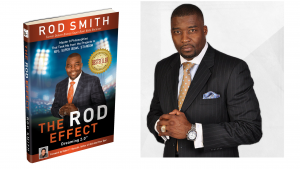 The Jude Joe Brown Show with Valerie Denise Jones Chat with Mathew Knowles, Ph.D. Tune into BIG Media Radio Network Tuesday’s & Fridays by calling the Studio Line at (929) 477-1167 and join in on the conversation.